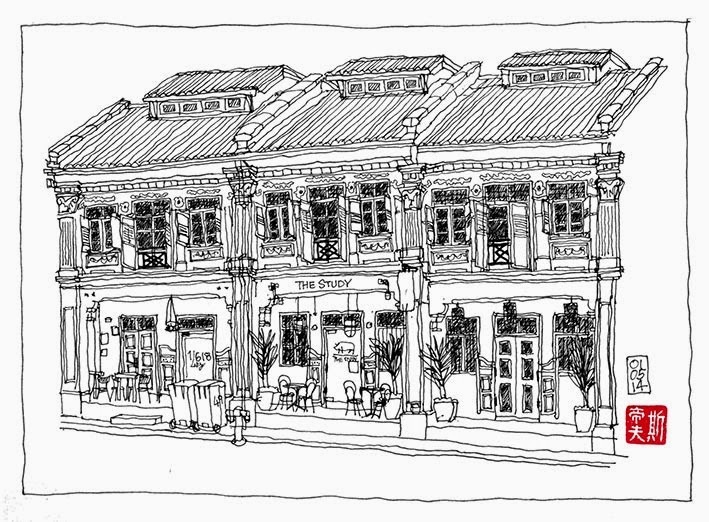 I spent the middle of the May Day holiday day scribbling on the pavement opposite what used to be Keong Saik Snacks on Keong Saik Road in Chinatown. 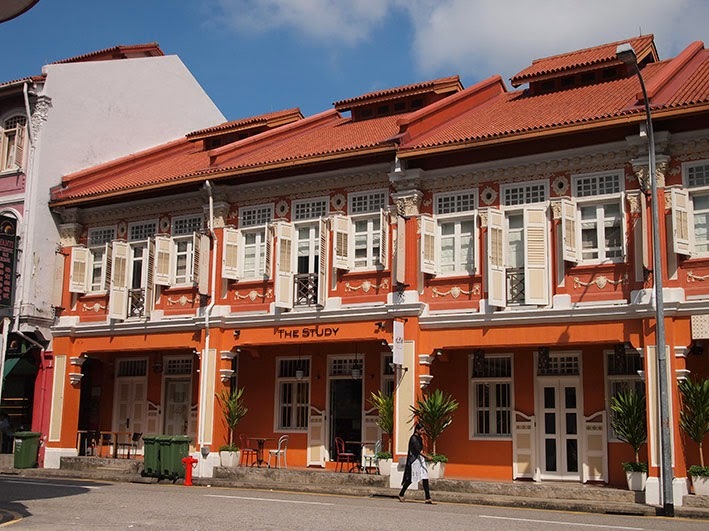 The restaurant is now known as The Study, although it is still part of Jason Atherton's empire. The sketch took over a couple of hours due to the occasional obstruction caused by cars and trucks parking on the double yellow lines directly in front of me. When I get to the stage of looking for bits to add to a sketch, I know it's time to finish. My mind turned to food. Despite being a fan of Mr Atherton's fine work, I was not in the mood for baked bone marrow or braised ox cheek, so I headed towards Eric's Wuerstelstand for a delightful sausage sandwich and chilled Stiegl Weisse wheat beer.